FOR DISCUSSION PURPOSES ONLY. ACTUAL VALUES MAY VARY. NOT AN OFFER. 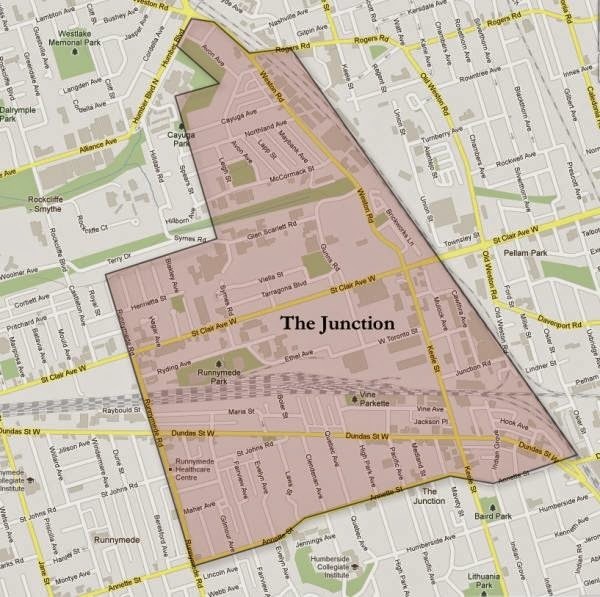 House in trendy/desirable “Junction” in Toronto (nicely renovated properties sell in $1.3-1.8 million range in the Junction, usually for asking price, sometimes above asking). In this scenario, the Investor nets out at an estimated ROI of 77%. 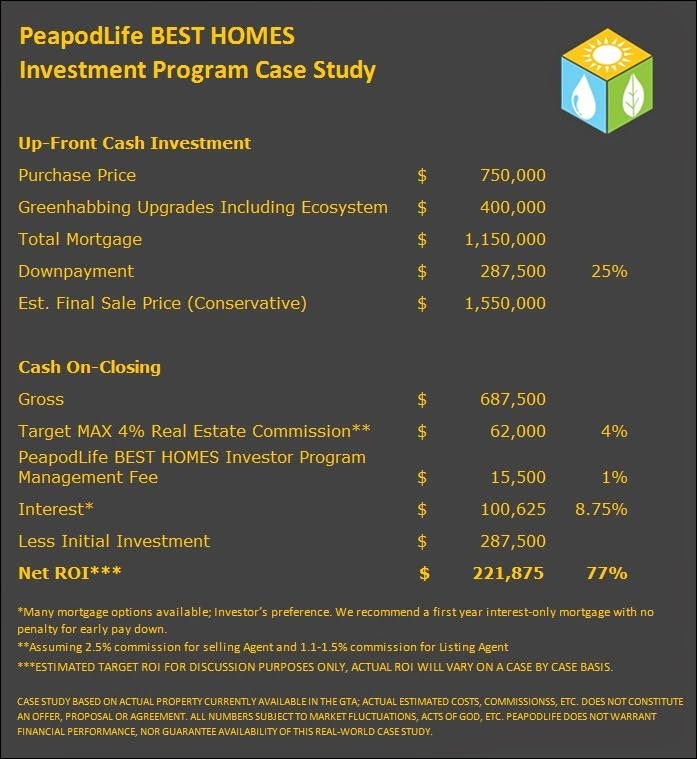 As you can see, PeapodLife takes a 1% commission / management fee for managing the PeapodLife BEST HOMES process beginning to end on behalf of the Investor. We are therefore incentivized to create a truly stunning home, perform outstanding marketing and promotion to and through the real estate brokers (and beyond), negotiate the best sale price, and realize savings whenever and wherever possible. This is a preliminary fee% for initial deal, and is subject to increase moving forward, based on performance. We are certain that there are investors who will want varying degrees of involvement, etc. in the process. PeapodLife’s goal is to identify the “right” investor(s) for PeapodLife BEST HOMES. Ones who can SEE our Vision/Mission (SEE – Social, Environmental, Economic) of our consortium of partners, and who want to get on the same page with us: to make money building BEST HOMES and bringing Advanced Human Habitat to the world. We encourage any Investor to check their values against ours and that of our Non-Profit Division, www.GenesisEcoFund.org, as expressed on its website and PeapodLife’s blog: http://greenaddition.blogspot.ca. And again, please understand that no other company in the world has PeapodLife’s ecosystem technology. Any Investor who thinks they can build something on par with a BEST HOME will soon find themselves knocking on PeapodLife’s door. Also, we have made no mention of our social housing opportunities, and commercial building concepts. We are trying to keep things simple at this stage.